This Festshchrift is intended as a tribute to the distinguished services rendered to the economics profession in India by the noted scholar Professor P.R. Brahmananda. In a research and teaching career spaning five decades, Prof. Brahmanada not only contributed several generations of students, many among whom went on to become economist of note themselves. 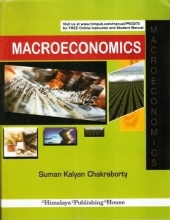 His lifelong association with and devotion to the Department of Economics, University of Mumbai helped considerably in the emergence of the Department as a leading centre of excellence for economics education in India. Prof. Brahmananda`s major contributions covered the fields of monetary economics, growth and development and international trade and finance. Reflecting these major concerns, the contributions in this Volume have been grouped into five parts. 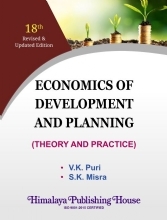 Part-1 is developed to Theory and Measurement Issues and comprises eight papers in the fields of monetary theory, growth theory and development economics. 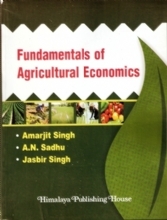 The Indian Policy framework forms the subject matter of Part-11 and includes seven papers dearing on issues of monetary and fiscal policy, agriculture, energy and international finance. In recent years, Prof. Brahmananda has been much exercised about the course that the structural reforms process has taken in India. 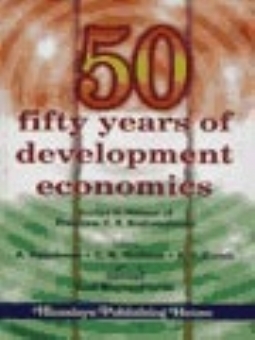 Issues related to structural adjustment are taken up for discussion in the five papers in Part-111 of this volume. In spite of his interests in high theory, Prof. Brahmananda through several of his works, consistently underlined the importance of subjecting theory to empirical scrutiny via economic techniques. 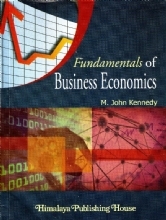 The six papers in Part-1V of this Volume are in this tradition, focussing on various emprical facets of the Indian economy. 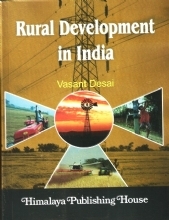 The final part (Part-V) of the Volume deals perspectives and comprises four case studies- two relating Indian States and two to the International context. Prof.Brahmananda always believed that economic truth is elusive and can rarely be attained by a single mrthod of analysis. Theory, institutions, empirical facts, techniques and anecdotal evidence all need to be invoked in some measure to get a glimpse of this truth. The essays in this Volume share thhis common perception and their classification into any paricular section is largely a matter of which analytical method they happen to lay stress on. The contributors to the volume (as well as the editors) have either been Prof. Brahmananda`s students or have been influenced by him indirectly through his writings. They are drawn India as well as from abroad, from the distinguished realms of academe as well as from the influential corridors of offical policy-making. 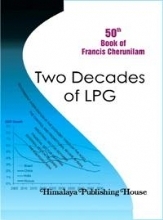 THe Foreword has been written by Lord Meghnad Desai, one of Prof. Brahmananda`s most illustrious students and currently Director, Center for Global Governence, London School of Economics. 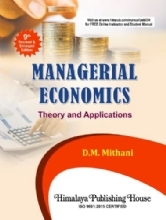 The eminence of the contributors, as well as the importance of the themes dealt with in this Volume ought to make it an authoritative tome on the current state of economics, especially in its bearing upon the problems of the Indian economy.